When it comes to financial planning most people like to work with a local professional and we understand that. We have compiled a list of other fee-only financials planners from around the country. Fee Only CFP® Financial Advisor and Retirement Planner in Scottsdale and Phoenix Arizona Dave Fernandez, Certified Financial Planner™, of Wealth Engineering, LLC, provides investment management, retirement planning and financial planning with a fiduciary standard of care. Fee Only Financial Advisor in Tucson, Arizona – retirement planning specialist - Financial Services include: asset management, wealth management, retirement planning, estate planning, taxes, debt reduction, insurance, and investment advice. Fee Only CFP Financial Advisor in Scottsdale and Phoenix, Arizona Continuum Wealth Management provides investment management, retirement planning and financial planning. Craig Ritter, CFP (R) is a Fee Only Financial Advisor. We serve Scottsdale, Fountain Hills, Chandler, Tempe, Gilbert, Mesa and the greater Phoenix area. Fee Only Financial Advisor in San Mateo California - Gosho Financial Group has been helping California-based clients through fee-only Financial Planning, Wealth and Retirement Planning as well as Eldercare Planning. Carol Gosho is a Certified Financial Planner (CFP) and a member of Financial Planning Association (FPA) of San Francisco and Silicon Valley. Unbiased Financial Advice in Menlo Park, CA Investor's Capital Management, LLC (ICM), providing financial guidance to the Bay Area since 1999, can give you the peace of mind that comes with knowing you have planned prudently for your future and your loved ones are protected. Fee Only Financial Planners in Orange, CA – TABR Our distinctive approach ensures that you will have a comprehensive financial strategy to address every element of your financial life, from management of your investments and portfolio to assessment of your financial and insurance risk. Investopedia ranked #1 Financial Advisory firm in Los Angeles. At ACap, we believe in investing, not speculating. Our goal is not to speculate on the direction of the market, but to achieve a healthy rate of return that allows our clients to achieve their financial dreams without exposing them to unreasonable risk. We specialize in working with healthcare professionals - Just as you help your patients achieve medical health, ACap Asset Management will help you achieve financial health. Woodbridge New Jersey Financial Advisor / CERTIFIED FINANCIAL PLANNER™ (CFP®) - PORTNOFF FINANCIAL LLC is an independent Fee Only Registered Investment Advisor and member of NAPFA with offices in Middlesex County New Jersey and Orange County California offering Comprehensive Financial Planning and Investment Management services to individuals and families who value independent and professional financial advice. InvestWithSteve.com, A Fee Only Advisor in the Southern California founded by Stephen Reh CFA, MBA, CFP®, helps business owners, corporate executives and families reach their financial goals. Qubera Wealth Management is a fee-only Financial Planning and Investment Management firm based in Los Angeles, California helping physicians and digital media professionals plan for a better tomorrow. Ray Mignone & Associates, Inc. Fee Only investment advisor, financial planner, fiduciary in Queens, Nassau, Long Island, New York & Boynton Beach Florida works with medical professionals, physicians, retirees facilitating 401k/403b IRA rollovers & portfolios management. Certified Financial Planner since 1989, member of NAPFA & FPA. Minerva Planning Group – Fee Only Financial Planner in Atlanta Minerva Planning Group is a fee-only financial planning firm, which means that we are compensated solely by our clients. We do not sell commissionable products, split fees, or accept referral fees. Atlanta CFP Fee Only Financial Planners. Resource Planning Group is an independent, fee-only fiduciary in Atlanta and St. Simons Island, Georgia with a team of Certified Financial Planner (CFP) financial advisors who provide comprehensive financial planning, investment, estate planning, retirement planning and tax planning advice to clients. Financial Planning Advisors in Elmhurst, IL Mentor Capital has successfully managed client investments for more than 20 years. With more than $60 million under management, we have the experience and the expertise to help you minimize risk and enhance returns. Financial Advisors in Peoria, IL - Johnston Investment Counsel. Financial lives are complicated. JIC seeks to reduce financial stress so clients can focus on more important activities. JIC combines an integrated/comprehensive financial planning approach with a 100% independent and fee-only organization that is a member of NAPFA. We hold the leading industry designations and have 25+ years of experience. Personal Financial Advisors, NAPFA, Fiduciary, fee-only planners in Covington, Louisiana Personal Financial Advisors, LLC is a comprehensive, fee-only financial planning firm based in Covington, LA offering retirement planning and wealth management. NAPFA members Robert Reed, CFP ™, Joan Cox, CFP ™ and Lauren Lindsay, CFP ™ have over six decades of combined financial planning experience. We also serve clients on the Northshore, New Orleans, Baton Rouge, Tuscaloosa and Birmingham, Alabama areas. Fee Only Financial Advisor Lafayette Louisiana Jerry Broussard is a NAPFA Registered Financial Advisor and a CERTIFIED FINANCIAL PLANNER™ Professional with Broussard Financial Group a Fee-Only financial planning and Investment Advisory firm serving the Acadiana area of Louisiana. Portland Financial Planning Group, LLC Our Maine-based firm has provided comprehensive fee-only financial planning services to professionals, retirees, and their families since 1998. We use an integrated approach, addressing the unique elements of each client's financial circumstance and crafting practical solutions in a collaborative relationship built on trust and respect. Financial Planning in Franklin, MA Titanium Advisors provides fee-only financial planning and investment management services in the greater Boston area. A Place for Mom - Connecting Families to Senior Living. While not a Fee-Only Financial Advsior, this website includes resources for seniors and caregivers in greater Minneapolis area, including assisted living facilities, memory care communities, Senior Living Cost Index, other professionals who help seniors and more. Fee-only and NAPFA registered CERTIFIED FINANCIAL PLANNER™ Professional (CFP™), CPA and wealth manager in Canton, Michigan and Brentwood, Tennessee. YDream Financial Services helps entrepreneurs, professionals and their families reach their dreams and enjoy financial peace of mind through personalized financial plans and client-first wealth management techniques. Novi, Michigan Independent Fee-Only NAPFA Wealth Manager George Papadopoulos is a Fee-Only Certified Financial Planner CFP and CPA providing completely independent financial planning advice and investment management with a strong emphasis on tax planning and retirement planning. Ann Arbor Michigan Fee Only Financial Advisor Welcome to Vintage Financial, a fee-only, independent-wealth management firm. For over two decades, we have taken a proactive role in providing sound financial planning and investment management for individuals throughout the U.S.
Financial Planners In Las Vegas - Redrock Wealth Management is a fee-only CEFEX certified fiduciary financial advisor based in Las Vegas. They specialize in retirement transition and decumulation phases of life. Fee-only Financial Planner NJ - Zynergy Retirement Planning is Red Bank’s trusted fee-only financial planner and retirement expert. Tom Duffy is a NAPFA-Registered Financial Advisor, earning the CERTIFIED FINANCIAL PLANNER™ designation in 1994. Tom is the owner of Jersey Shore Financial Advisors, a Fee-Only Financial Planning company serving all of New Jersey with principal offices located in Tinton Falls. Jersey Shore Financial Advisors, LLC specializes in integrated financial planning and investment supervision for professionals contemplating retirement within the next 10 years. Long Island Financial Advisor / CERTIFIED FINANCIAL PLANNERS™ (CFP®) - Landmark Wealth Management, LLC is a Registered Investment Advisor Fee Only firm and member of NAPFA, with an office in Melville and Brooklyn, New York. They provide comprehensive financial planning and investment management services to individuals, families, small business owners, and charitable foundations. Blue Water Portfolios – Fee Only CERTIFIED FINANCIAL PLANNER TM professionals serving Holly Springs, Raleigh, Cary, Apex, and Fuquay Varina, North Carolina Blue Water Capital Management, LLC is an independent, fee-only financial advisory firm. 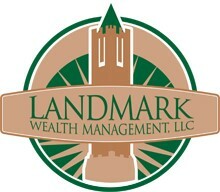 We specialize in financial goal planning, retirement planning, and low cost investment management. Focused on excellent client care, our team of Financial Advisors at Clearview Wealth Management are all CFP® professionals with the needed expertise in Wealth Management for our clients and their families. With a special focus on helping the generations of a client’s family, we believe in reducing risks to our client’s financial future through sound investment decisions and ongoing comprehensive financial planning. Fee Only Investment Advisor – Certified Financial Planner – CPA – Retirement Planner in Raleigh, NC Beacon Financial Strategies is a Fee-Only financial planning, tax planning and investment management firm offering ongoing and one-time wealth management engagements to discerning clients in Raleigh, Durham, Cary, Research Triangle Park, NC and nationwide. Financial Advisor and Investment Advisor serving Sherwin-Williams employees, and others, as clients in the Cleveland Metro area and throughout the nation. Brent Dickerson, Certified Financial Planner™ and Enrolled Agent, provides fiduciary wealth management services and advice to a range of clients, including many employed by Sherwin-Williams in Cleveland and throughout the country. JGR Financial Solutions Providing fee only financial planning and investment management in North Canton, Canton, Akron, Cleveland, and Youngstown, Ohio, as well as to clients throughout the United States. As a CFP practitioner and financial advisor, Justin Rush specializes in working with young professionals, executives and educators to address their unique financial planning needs. Fee Only Holistic Financial Planning in Tulsa and Broken Arrow, Oklahoma Step By Step Financial, LLC provides fee-only personalized financial guidance to married couples prior to and into their retirement years. A recognized CERTIFIED FINANCIAL PLANNER Professional and IRS Enrolled Agent, owner Kevin Jacobs has been in the financial services industry since 2005, and has always made it his number one priority to focus on what will most benefit his clients. Step By Step Financial LLC serves clients from Tulsa, Broken Arrow, Owasso, Bixby, Coweta, Catoosa, Jenks, Muskogee and Oklahoma City. Independent Fee-Only CERTIFIED FINANCIAL PLANNER™ in Portland, Oregon and Santa Cruz, California Cedar Financial Advisors, LLC is a comprehensive Fee Only financial planning Registered Investment Advisor Firm serving retirement and professionals in Portland, Oregon. Yardley Wealth Management, LLC Independent Fee Only Yardley Wealth Management, LLC is an independent financial advisor firm that provides Fee-Only CFP (R) services and investment management in Newtown, Pennsylvania. Fee-only and NAPFA registered CERTIFIED FINANCIAL PLANNER™ Professional (CFP™), CPA and wealth manager in Brentwood, Tennessee and Canton, Michigan. YDream Financial Services helps entrepreneurs, professionals and their families reach their dreams and enjoy financial peace of mind through personalized financial plans and client-first wealth management techniques. Fee Only Financial Advisor in Memphis, TN – Cypress Wealth Management. Discover your true wealth and live the life you love! We are fiduciaries and provide comprehensive financial planning, and investment management services in Memphis, TN, North Mississippi, and eastern Arkansas. Fee Only Financial Planner in Plano, TX - Strategic Financial Planning Strategic Financial Planning, Inc. is an independent financial advisory firm specializing in financial planning and asset management. We use a financial planning process that systematically and objectively defines challenges and offers solutions. Financial Advisor to individuals who live to travel Financial services offered in-person or online for clients around the world. We help clients balance their cash flow needs with their long-term goals so that they can fulfill their desires for travel or work abroad. We are fee-only fiduciary advisors with client needs always on the forefront. Trinity Wealth Management – Financial Planning in Texas Financial Advisor and Investment Advisor serving Sherwin-Williams employees, and others, as clients in the Cleveland Metro area and throughout the nation. 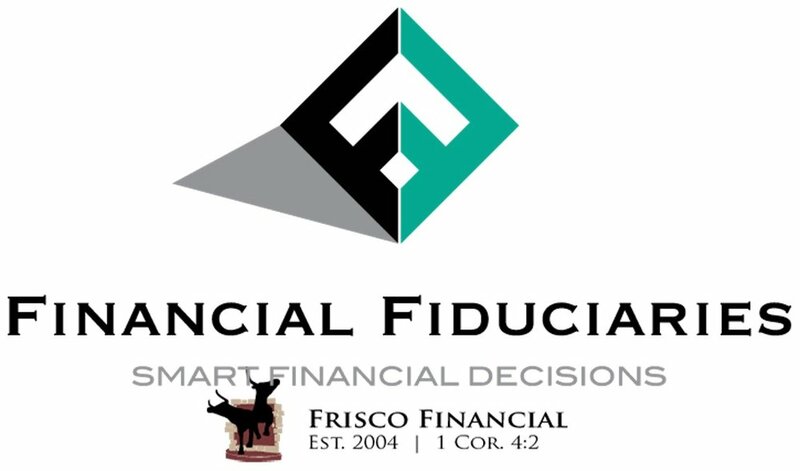 CFP Servicing the Plano, McKinney and Allen, TX Areas Frisco Financial Planning LLC offers fiduciary, objective financial planning and investment strategies on a fee-only basis to clients all across Texas. Serving Frisco, McKinney, Allen, Dallas, Fort Worth, Texas, and clients Nationwide since 2004. John Fiege CFP is a Fee-Only financial advsior located in Onancock Vriginia. Seattle Independent Fee-Only CFP® Financial Advisor Michael Pace Michael Pace, CFP® offers fee-only retirement planning and financial planning services and investment management services to individual clients and families in Seattle, Washington. Financial Planning and Investment Management. Seattle, Redmond, Bellevue, Kirkland, Woodinville, WA Sherwood Investment Services specializes in retirement planning and investment management. They provide independent financial planning and fee-only investment management with no commissions.